Sound like a familiar battle? Trying to convince your children to pitch in around the house and do their chores with a happy heart is an uphill battle. They’d rather be running around and playing games. But most parents agree that helping out around the house is not only necessary but teaches them valuable lessons in responsibility. We’ve tried everything to convince the kids to do their part. I’ve made lists, reward charts, set timers…they all resulted in the same thing; compliance at first and a loss of interest down the road – even arguing among themselves about who’s turn it was to do which chore! I was tired of the mumbling, grumbling, and complaining. The work needed to get done, and I needed it done quickly, efficiently, and happily. So we started something new. The kids came home from school and I had it all ready for them. I told them how it was going to work, the gave me looks like “seriously?” and then something happened. They went about their chores, no one argued, and everything was done within 20 minutes! I enforced the behavior by telling them how great it was to see them working together and not arguing. I made sure to tell them how much they had helped me out and how proud I was of them for being so responsible. I asked them a question; “wasn’t that easy?” Yes! “and can you believe we did all of that in just 20 minutes? !” Wow! They were on board. The next day we did it again. And the day after that. And the day after that. I had found a system that worked. My children were pitching in, taking care of their responsibilities, and getting their chores done on time and without a fight! You have two jars. (really they can be any sort of container – glass jars worked great and it was what we happened to have, you could also use plastic containers, empty cans, small boxes, etc.) One you will label with ‘chores to do’ and the other with ‘chores completed’ – or something similar. Then you have your craft sticks. (again, this is what we had on hand but you could just as easily use cards or paper). On each stick you will write out one chore or task. Keep it simple. Instead of writing “clean your room” I broke it down into “take out your dirty laundry”, “hang up your clothes”, “wipe off your dresser”, etc. This helped immensely because they were not overwhelmed with the task. 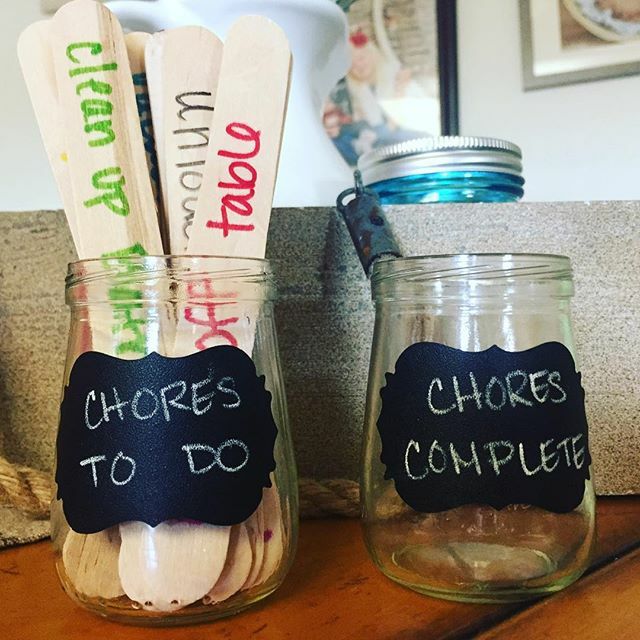 Place all of the chore sticks that need to be completed for that day into your “to do” jar. 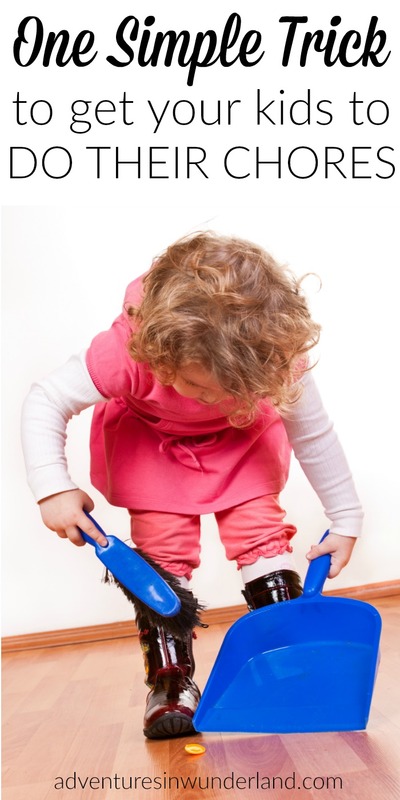 The child (or children) will take turns pulling a stick and completing the task. Here’s the catch: they DO NOT get to choose their task, they simply must take the first stick that they touch. Trust me, in a house with multiple children this will eliminate the arguing about who has to do what chore. Once they have completed that task they place the stick in the “completed” jar and move on to the next chore. 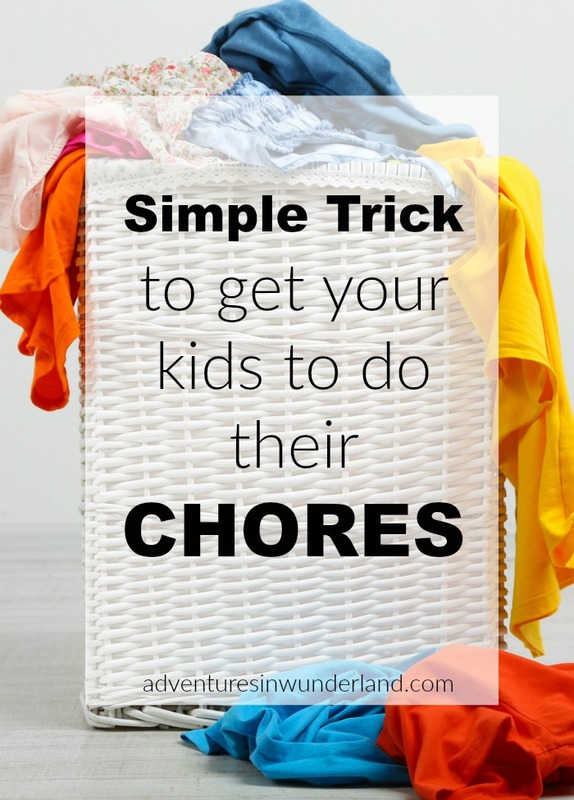 If you have any other tips for kids and chores I’d love to hear them! Leave me a quick comment below!